New York Rangers prospect is in his first season with Dubuque. 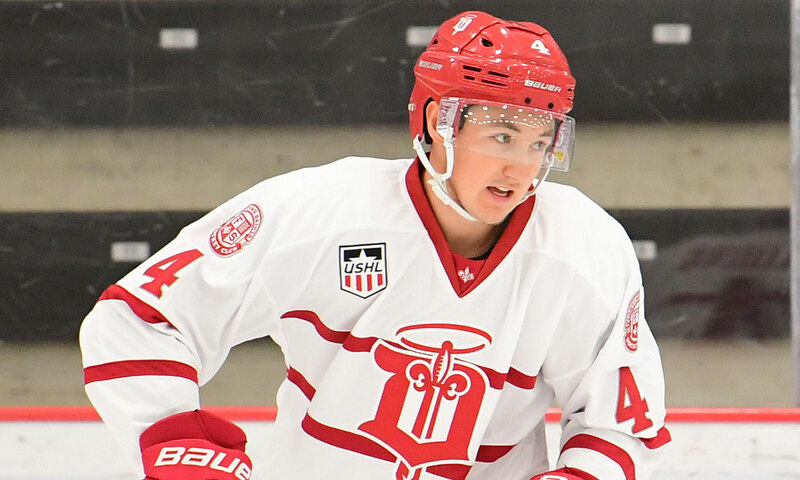 Dubuque Fighting Saints defenseman Simon Kjellberg announced his commitment to RPI on Thursday afternoon. The Falun, SWE native and New York Rangers draft pick is in his first season with the Fighting Saints. RPI, located in Troy, New York is a member of the ECAC Hockey Conference. Kjellberg, who has been with the Saints since he was selected in the second round of the Phase II Draft, is a smooth skating defenseman who has shown good growth during the start of the season. Kjellberg has been a consistent presence in the Saints lineup, starting and playing in all 13 games so far this season. Kjellberg plays a clean style of defensive hockey, using his skating to make plays. This season for the Fighting Saints, Kjellberg has tallied an assist and has been very disciplined defensively as he is one of only three Saints to play in more than five games and not take a penalty. Kjellberg becomes the second Fighting Saint to commit during the 2018-19 regular season. He was selected in the sixth round, 163rd overall by the Rangers at the 2018 NHL Draft.